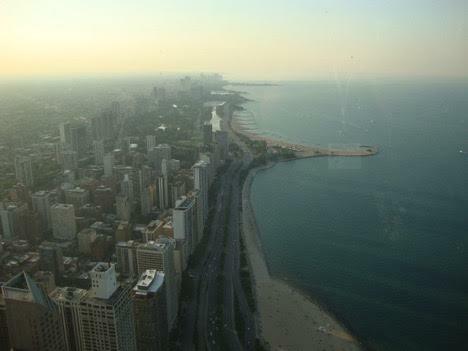 It is hard to believe it is finally summer here in Chicago. We have had a lot of really weird temperature days and a lot of rain! (I live by Midway Airport, and according to the news last night, we've gotten twice the amount of rain in June than we were suppose too!). By now, all our kids should be on break whether you are from the area or not. Whether you are a tourist or looking for a staycation, there are so many places you must go visit here. Chicagoland is the whole Chicago area that is rich with places to go and maybe even enjoy some Tampico while enjoying yourself. Chicago History Museum. This is a great place to go to truly understand Chicago's past. It's a great place to check out after you've gone to my choice #2. Lincoln Park Zoo. Who doesn't want to go to a free zoo? Wrigley Field. 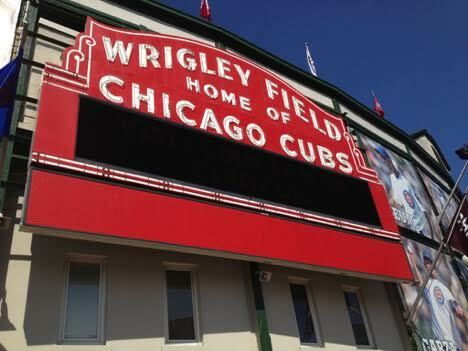 You don't have to be a Cubs fan to enjoy the historical ballpark. The Bean. 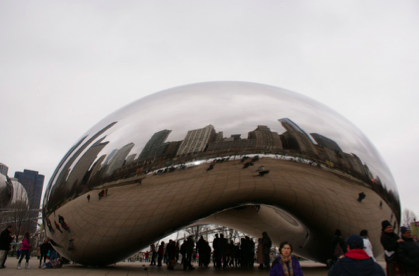 If you are in Chicago, you have to get a picture with the bean. My kids like to lay under it and pretend they are getting squished. Navy Pier. There is so much to do on Navy Pier. There is the kid museum, places to eat, a ferris wheel, etc. 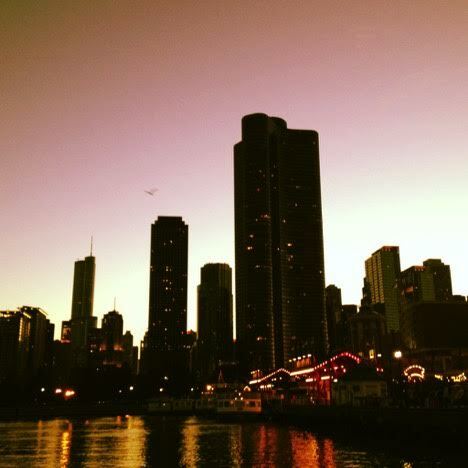 This photo was taken from a Sea Dog fireworks cruise when we were at the dock at Navy Pier. Six Flags. 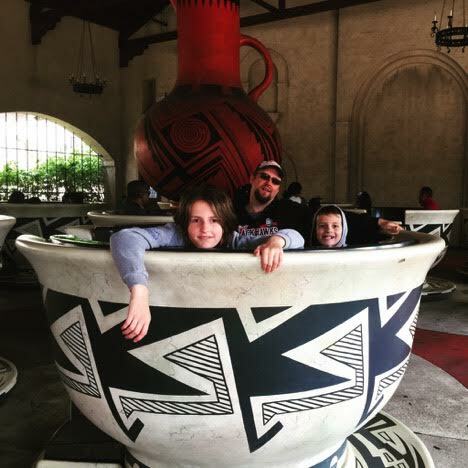 Looking for a great theme park? Six Flags Great America up in Gurnee is a must stop. Awesome roller coaster plus there is a outlet mall really close makes it a great place to stop! John Hancock Building. It is amazing to see the city several stories up in the air. It is totally worth doing at least once in your life. Raging Waves. This is another place out in the Chicagoland area. 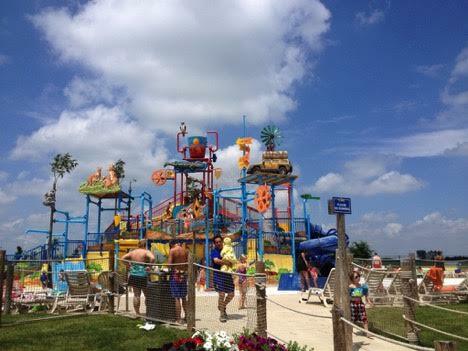 It is the largest outdoor waterpark in Illinois. It is also a ton of fun. They have everything from a kiddie area to water slides to a wave pool. There is something there for everyone! Morton Arboretum. This is your place to see beautiful flowers. My kids loving coming here for their Children's Garden. They could spend hours in there! Any of our forest preserves. Chicagoland does that right. If you want to be one with nature, this is where to do it. The one closest to our house is called The Little Red Schoolhouse, and my kids love it. It's a mini museum with tons of trails to follow. What places would you recommend in Chicago? Have you been to any of these places on the list?